The holiday season is one of the greatest times of the year because you get to surround yourself with your loved ones while indulging in great food. But sometimes, the latter can cause a good majority of the population to gain anywhere between one and five pounds on average between Thanksgiving and New Years. So, can you avoid this holiday weight, and if so, how? Well, that’s what we’ll be going over in today’s blog post. If you’re looking for an effective way to stay in shape this holiday season and heading into 2019, try out one of our fitness classes at Shell Shock Fitness. Our fitness center in Franklin is known for our fun and energetic coaches who can help you achieve your personal health and fitness goals. Sign up for a class today. 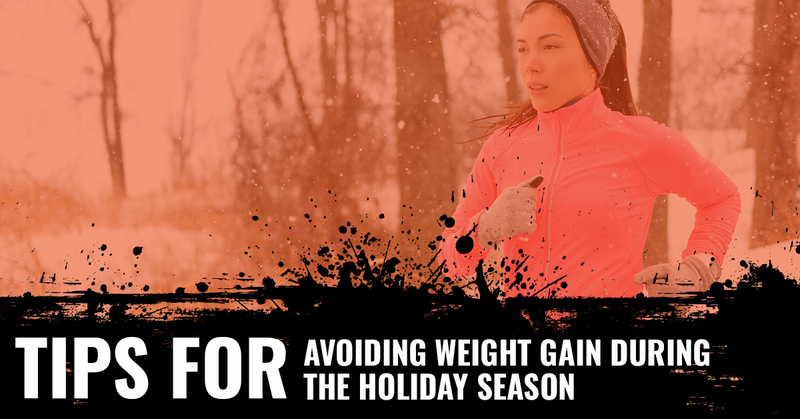 Continue reading below for our tips on avoiding weight gain during this holiday season. Try your best to maintain your workout habits and regular meal planning from Monday through Friday afternoon. That’s why it’s great to enroll in regular fitness classes like ours! Unlike when you work out alone, you’ll be surrounded by like-minded individuals who will hold you accountable — even through the holidays. If alcohol is something you like to have throughout the week, try to save the calories you’d intake from a nightly glass of wine for the weekend. Alcohol is a source of empty calories, and you should want to save those for when you’re surrounded by friends or family on the weekends — in moderation, of course. You can still have all your favorite foods during the holidays, but try to eat less of it — enough to satisfy your cravings, but not too much to put on the pounds. Another great practice is to only put unhealthy foods on your plate that you know you love. If you’re just slamming unhealthy food on your plate without knowing if you’ll like it or not, why waste those calories? The sooner you start changing your eating and exercise habits, the sooner you’ll see results. Why wait until next year to start chasing your goals? Start making healthy, sustainable choices regarding your health now so that they become habits heading into the new year. Start making at least two healthy meals a week. If you’re a soda or alcohol binger, try reducing this intake a little bit each week. Try fitting in at least three fitness classes a week. Start now, and make 2019 the year where you finally get the body you’ve always wanted. If you want to get into the best shape of your life in 2019, check out our fitness center in Franklin. At Shell Shock Fitness, we offer an array of fitness classes for you to choose from, ranging from our signature Shock class to our empowering kickboxing-based Shock Box class. Our coaches are willing and ready to help you achieve your dream body and, ultimately, your dream life. Sign up for a class today and get ready to trim fat and gain muscle. If you have any additional questions, feel free to call us at (615) 348-5606 or to fill out our form online.